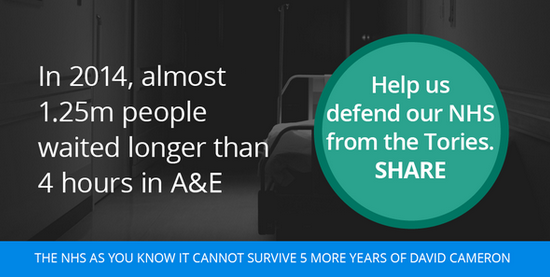 "A&E waiting is worst for a decade". This is right: figures published this morning showed that in the last three months of 2014, less than 93% of attendances were seen within four hours. That's the lowest for any three-month period since 2004. 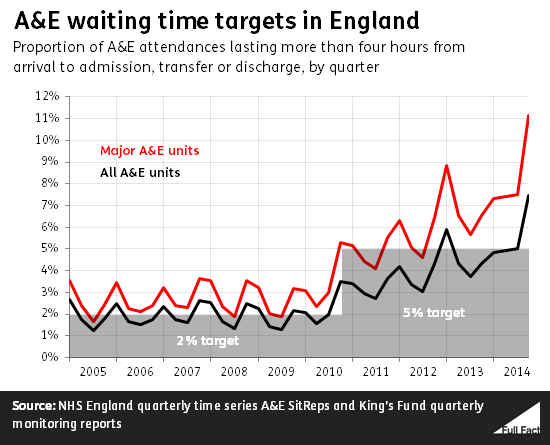 Since 2010 the NHS in England has had a target that 95% of patients be seen within four hours at A&E. In practice that means from the time they arrive to the time they are either admitted for treatment, transferred elsewhere or discharged. Both claims are right, and neither is meaningful. 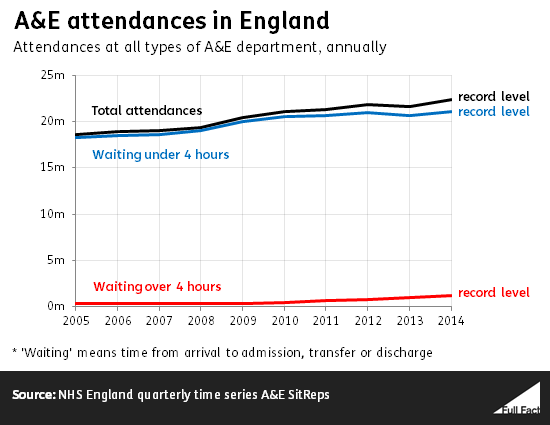 The number of people attending A&E in England in 2014 was at record levels, as was the number seen within four hours. As was the number seen in over four hours. People who are admitted for treatment spend on average three and three quarter hours in A&E (median), while people who aren't spend just under two hours. This is only a broad picture, and the King's Fund has analysed some of the drivers of trends in attendances and waiting. Even so, claims about 'record' levels aren't always that useful, when viewed in context.